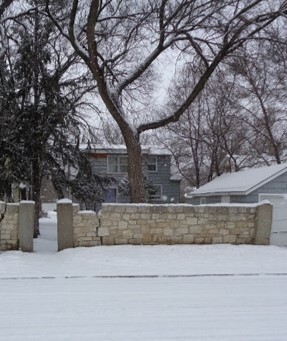 The Stone Fence is a Municipal Heritage Site owned by the City of Brandon. It is unique in that the designation affects several properties as the structure runs along the west side of 17th Street between Princess and Rosser Avenues, as well as the south side of Rosser Avenue and the north side of Princess Avenue between 17th and 18th Streets. Parts of the Stone Fence were at risk of collapse due to mature trees undermining the structure with its root systems. The Brandon Municipal Heritage Advisory Committee (MHAC) made it a priority project in 2016. 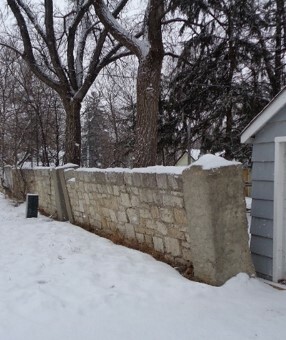 City Council approved funding to do work on Phase 1 of the Stone Fence Rehabilitation Project. 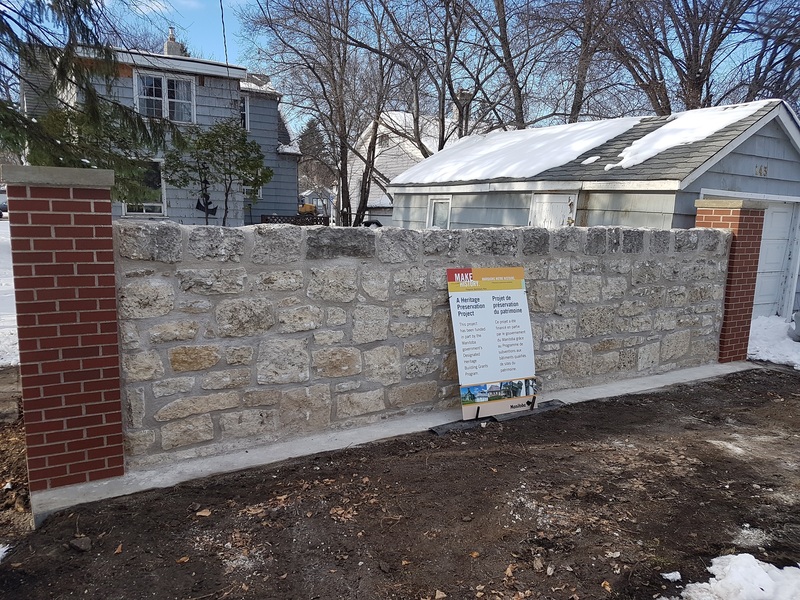 Trees and plants along sections of the structure at 143 and 147 – 18th Street were removed, and an eight-metre section with a new foundation was reconstructed at 143 – 18th Street. Work on the structure was completed in November 2017, and sodding will be completed in Spring 2018.